When you are looking for things to do in Washington, DC, images of monuments, museums, and government buildings probably come to mind. However, what you may not realize as a visitor to Washington, DC is that there is SO. MUCH. MORE. to this city than meets the eye. Cute neighborhoods, obscurely-themed pop-up bars, and underground art exhibits are all part of the mix. Intrigued yet? I hope so! To help you plan your trip to Washington, DC, I’ve compiled a list of 37 different non-touristy things to do in DC that aren’t museums, monuments, or memorials. This list spans from art installations, embassy parties, outdoors activities, and restaurants. Take your pick to avoid the tourist crowds in DC! This post may include affiliate links. If you make a purchase from one of these links, Jetfarer may earn a small commission at no additional cost to you. As always, we only work with affiliate partners we use and love! 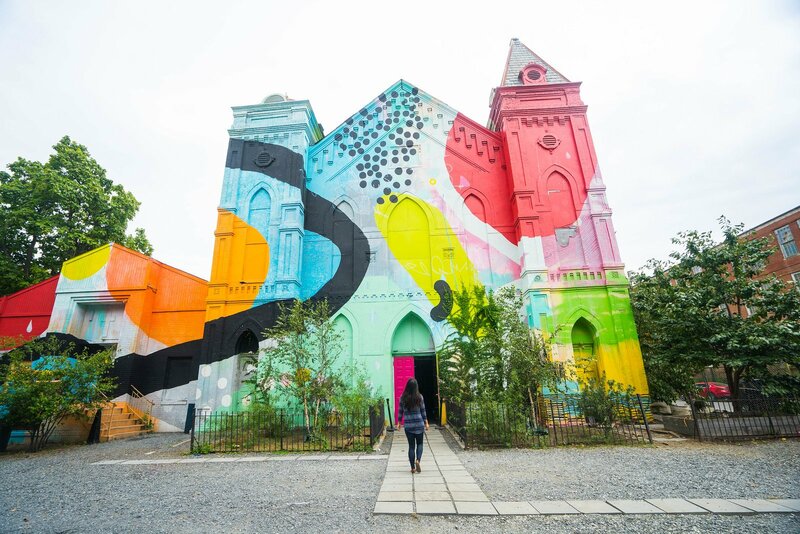 Hidden away from all the tourists in the streets of Southwest DC is a formerly abandoned church that fell into a vat of neon pixie dust, and opened its doors to the art community. Now known as Blind Whino, this construction has become an iconic part of DC’s culture, hosting live talks and shows, and exhibits from local artists. There’s also work space for artists to come and learn from each other. For people who simply want to see local art, Blind Whino’s rotating exhibit is open on Wednesday nights and weekends to the public. You can also check out their website for upcoming events. Dupont Underground is another art space, located near Dupont Circle, that welcomes local artist exhibitions. It’s literally an underground tunnel created from repurposed urban infrastructural space that hosts artwork and live events. If you are looking for a different thing to do in DC, look no further than here. From street art to photography, light shows to paintings, anything goes here, and most of the exhibits are absolutely fascinating. This is one of the best undiscovered gems in the city. For their current exhibit offerings, check their website. Running is a huge activity in Washington DC, and you can find people running almost all hours of the day on the city’s sidewalks. If you’re a runner yourself, you can get to know the city by joining a road race! Races in DC (and in the DC area) happen very regularly, so you can almost always find one if you really want to. Some of the most popular races are the Army 10 Miler, the Marine Corps Marathon, the Pride 5K, the Rock and Roll Marathon and Half Marathon, and the Cherry Blossom 10 Miler. Even if you don’t like running, it’s worth heading to the races to spectate if you happen to coincide with one of them! Because Washington DC is so centrally located, many artists (big and small) that are making the rounds in the US stop here. As a result, you can see basically any artist you love at some point in this city. Venues range from giant stadiums, like the Verizon Center or the 9:30 Club, to smaller, more intimate spaces, like Sixth and I Synagogue. Here is a regularly updated list of upcoming shows in DC. If fine arts is more your thing, check out the listings for touring Broadway plays, National Symphony concerts, or ballet shows. 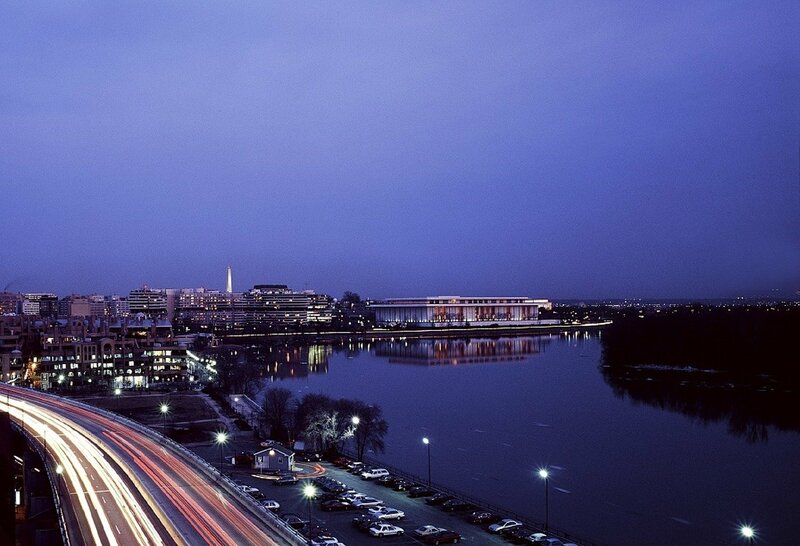 Many of these take place at the iconic Kennedy Center, right on the river. Others are hosted around the city at various venues. One of the most beautiful times of day to see Washington, DC is at night, when the monuments are all lit up amidst the night sky. I know, I know, I promised there wouldn’t be any monuments on this list, but seeing the monuments via the city’s main throughfares is a different thing altogether, and you can avoid the hoards of tourists by going at this time. There’s a really awesome night tour of DC you can take to see some of the city’s most beautiful areas in the most tranquil time of day. Occasionally, DC’s embassies from a variety of countries will open their doors to the public for a night of cocktails and events. For example, Mexico’s embassy did a Day of the Dead celebration in November of last year to celebrate this important holiday in their culture. Some of these events are even free to the public. This is a great way to see DC and avoid the tourists. Typically you have to buy a ticket in advance for these parties, but it depends on the event. If you want to know more about embassy and cultural events going on here, check out this list. DC doesn’t really have a Coney Island, but the closest thing is our National Harbor. 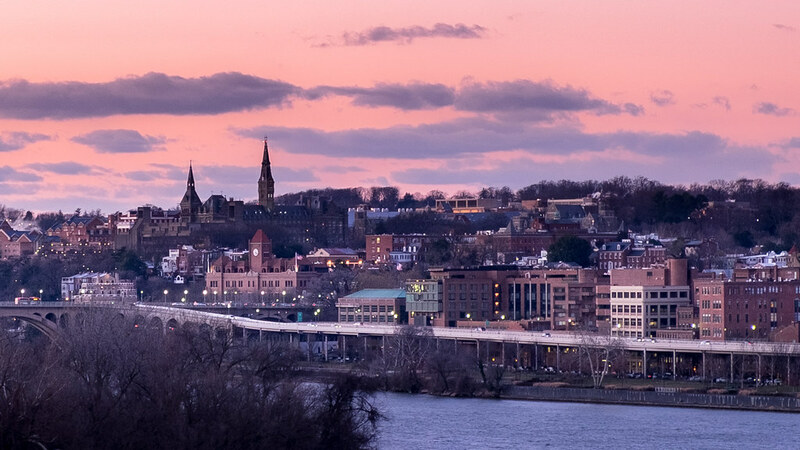 Home to different things and sights such as casinos, fantastic dining options, and bustling walking areas, the National Harbor is a great place to spend an evening. One of the most well-known sights on the National Harbor is the ferris wheel, also known as the Capital Wheel. Riding the wheel boasts some views of the Potomac River and is a fun way to spend a little while when you’re at the National Harbor. Locals frequently visit here, so the National Harbor should be on your list on non touristy locations in Washington, DC. You can learn more about pricing and tickets on the Capital Wheel website. In early April, one of DC’s most iconic sights is the cherry blossoms, whose pastel pink blossoms can be found across the city. However, the most famous place to view these gorgeous blooms in at the Tidal Basin. Grab a jacket and take a walk, admiring how the pink colors reflect off the water. Or, if you’re feeling ambitious, enter the lottery for the Cherry Blossoms 10 miler and go for a run through these beautiful, flowered streets. This is an excellent complement to a museum day in late March/early April. In the summer, the National Gallery of Art’s sculpture garden opens its gates for live jazz music and pitchers of sangria. On Fridays from June to August, you can see DC’s young professionals flocking there in high numbers to lay down picnic blankets and snack on wine and cheese, catching up about their busy weeks and enjoying the sometimes quaint, but always quality jazz music that fills the air. When I first moved to DC, this was one of the first events I ever went to! It’s so fun to sit back and unwind with friends amidst the towering sculptures in the garden. If you are looking for a fun non touristy thing to do in Washington, DC in the summer, this is one of the most fun. In the winter, the sculpture garden’s fountain area turns into an ice skating rink! For a small fee, you can rent skates and go ice skating there. Families, hockey players, and young professionals alike swirl around the rink during the day. It’s definitely a fun way to spend some time outdoors in the chill of the winter. Summertime is the perfect time to go boating, and Georgetown offers plenty of options. From boozy boats to elegant dinner cruises by the DC skyline, or simple tourist water taxis, there’s something for every kind of visitor here. There are many tour companies that offer boat tours in DC. During the holiday season, DC steals some of the traditional Christmas market flair from Europe and brings it to its own streets. What results is rows of street stalls selling artisan items, baked goods, condiments, and more. Of course, along with any holiday market, there are traditional drinks like mulled wine, as well as non-alcoholic delights like hot chocolate. In the wintertime, bundle up and head to the Downtown Holiday Market to enjoy the sights and sounds of the holiday season. 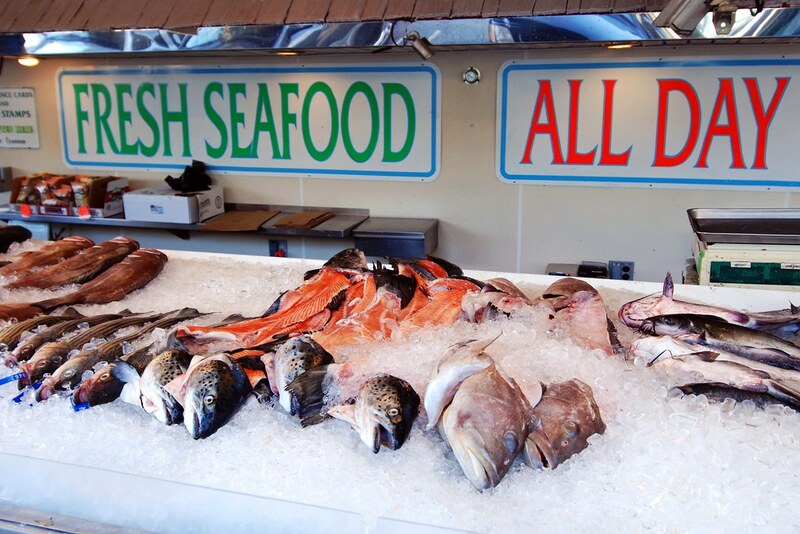 The fish market in DC is a strange attraction to see. Filled with a handful of floating stalls on the waterfront, it looks like it hasn’t changed much in a while, boasting decades-old facades and peeling paint. But the charm of the fish market is just how unpretentious it feels – vendors are there to sell fish, and sell fish alone. Each vendor has ice boxes showcasing their catches of the day, and lines here often get very long to buy the cream of the crop. In addition to buying several varieties of fish and shellfish here, there are also stalls that sell meals like gumbo, fried shrimp, etc. For seafood lovers, this is a unique place in DC that’s definitely worth a visit, if even just to see where the magic happens. Except for the winter time, there are farmer’s markets all over the city of Washington DC. Two of the largest ones are Dupont Circle and Columbia Heights, but there are many others you can peruse as well. Farmer’s markets offer fresh produce, artisan food items, prepared food, live music, and often, the best part…FREE SAMPLES. My favorite farmer’s market is the Dupont Circle market, because it spans a few blocks and seemingly has everything. These are a great place to people-watch, too! Located in the up-and-coming NoMa neighborhood, Union Market is a newer warehouse-like establishment featuring many indoor food vendors and boutique shops. This is definitely the most upscale of the markets here, designed to be a place for young professionals and families alike to hang out, sip on a glass of wine, and eat finger foods while catching up with friends. Eastern Market is a neighborhood in DC, but it’s also an interesting weekend street market that I didn’t group into the “farmer’s market” category because it is so unique. During the weekend, street stalls here sell a variety of oddities, from maps to clothing to soaps and more. On top of that, there’s a market building that houses meat items, fresh local vegetables, and other foods. In addition, there are several coffee shops and brunch spots lining the streets, opening their doors to hungry market-goers who need some refreshments. It’s worth spending a whole morning here just wandering around and checking out what’s for sale. Tucked behind some unassuming buildings in Shaw is a peculiar alleyway that doesn’t look like much from the street. However, this alley houses a coffee shop and a few restaurants and bars, as well as a street mosaic and strange cobblestone streets. It’s one of those weird things I would have never known about if a friend of mine hadn’t taken me there and shown it to me. If you’re hanging out in the Shaw area, Blagden Alley is definitely a cool thing to see. One of DC’s newest constructions is a waterfront area in Southwest DC, near Navy Yard, called The Wharf. 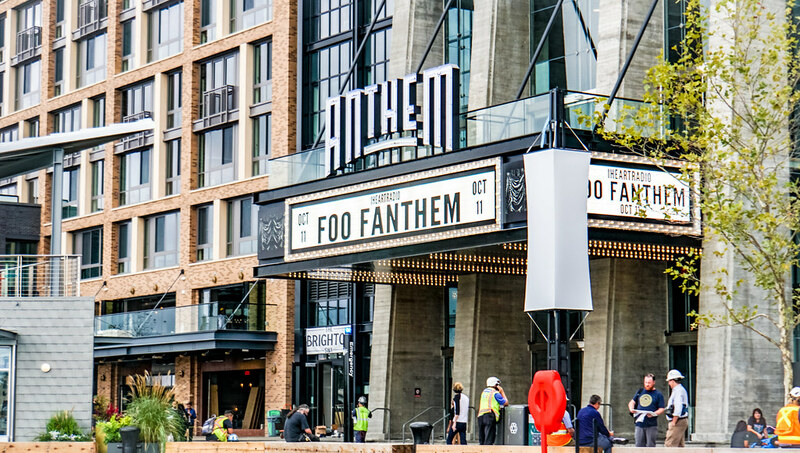 Accessible from the metro, this waterfront boasts shops, restaurants, and a brand new performance venue called the Anthem. There are also lots of bars in this up-and-coming area, perfect for a night on the town with friends. 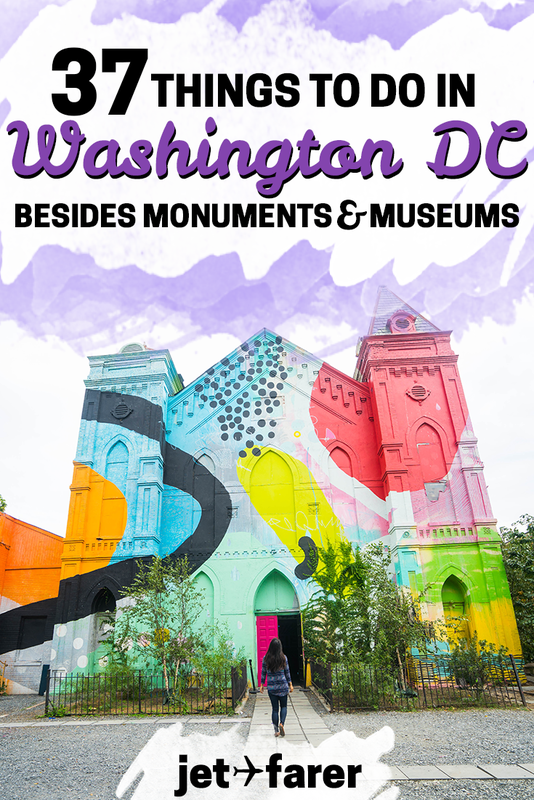 OK, OK, I know these are ~kind of~ museums, but they never get mentioned anywhere in museum posts, so I thought I’d include them on this post of alternative things to do in Washington DC. This is an often neglected attraction in Washington. Because it has been a city critical to the formation of the United States, DC has a lot of historic old homes you can tour. In Georgetown, the Old Stone House is the oldest house in DC, and offers guided tours throughout the day. Or, head to the Heurich House, which is a historic home that boasts some odd decor and architecture inside its four walls. 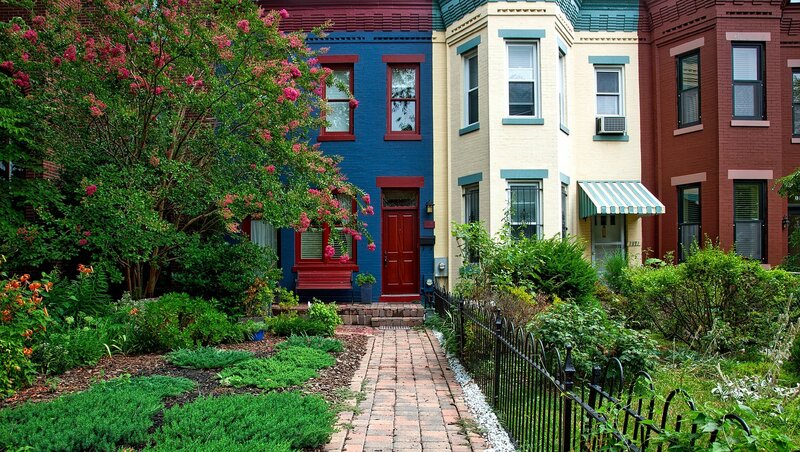 For a list of historic homes in DC, check out this site. The National Mall is full of museums and monuments, but some of the prime viewing here is of the people around you. Grab a bench, pick up a bag of popcorn and watch the world go by – it can often lead to some pretty funny or interesting insights about the humans of DC. Remember the Game of Thrones bar? Or the Cherry Blossom bar? DC is home to some weird and wonderful pop up bars all over the city that rotate throughout the year. One minute, it’s a terrifying Halloween-themed bar, the next, it’s Christmas! The most well-known pop up bar is located in the neighborhood of Shaw, and it’s worth going there any time of year to see what the new theme is. A different adventure every couple of weeks, visiting a pop-up bar is a great thing to do in DC. DC young professionals LOVE happy hour. For many of us (myself included) happy hour is the new dinner. Typically occurring from 4-7 PM, people flock to some of the best bars in Washington, DC for discounted food, drink, and social time. There are happy hours all over the city, but some of the most popular areas to go are Dupont Circle/Adams Morgan, 14th Street, U Street, Shaw, and Gallery Place. Hidden behind closed doors of seemingly abandoned buildings lie a set of super unique underground bars called speakeasies. Much like the Prohibition era, these bars are difficult to find, but when you stumble upon a good one, it’s a strangely amazing experience. My favorite speakeasy in DC is called The Gibson – it’s in the U Street area, but I’ll leave it up to you to find its exact location. There are many other speakeasies in DC – for a complete list, visit this site. 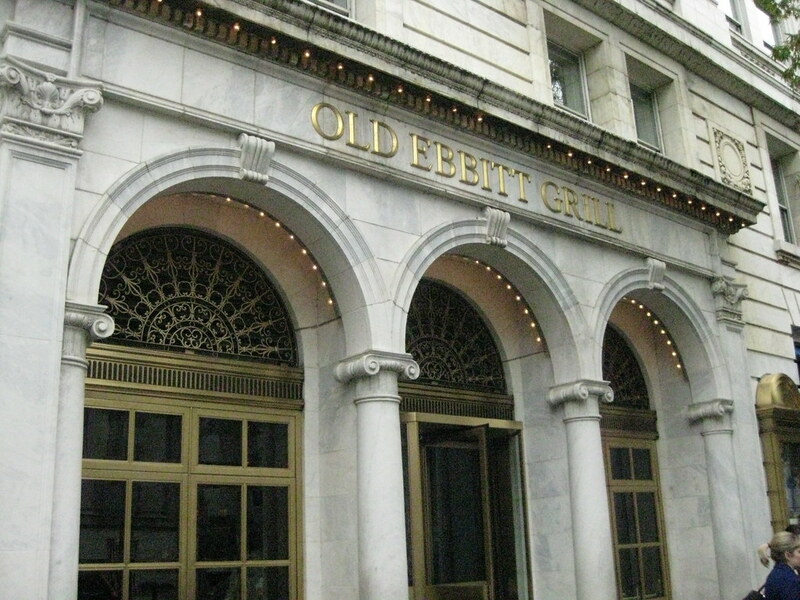 Martin’s Tavern…Old Ebbitt Grill…what do they have in common? They’re all historic dining institutions in DC, where the likes of US presidents would hang out and discuss important political matters. When you step inside one of these fascinating places, you step into a world of history and grandeur, with wood-paneled bars and tables, and furnishings that look like they’ve been around a century. If you go to Martin’s Tavern in Georgetown, you can even request to sit at the table where JFK and Jackie got engaged. Breweries and beer gardens are extremely popular hangouts in Washington DC, especially in the summer months. Many allow you to bring your own food, sit back with friends, and sip on some local brews in open air. There are a handful of craft breweries in DC, and you can find them all listed here. If you prefer high-class restaurants, the fine dining options in DC are competitive with most major cities in the world. Ranging in type from new American fare to sushi, there’s plenty of variety in the Michelin-star world of DC. Some of the hottest restaurants on the Michelin list are Plume, Rose’s Luxury, Blue Duck Tavern, and Pineapple & Pearls. For a complete list of the 2018 Michelin star rankings, check out this post. DC’s coffee scene is fabulous, and this is coming from someone who spends a LOT of time in coffee shops working on…ahem…this site. 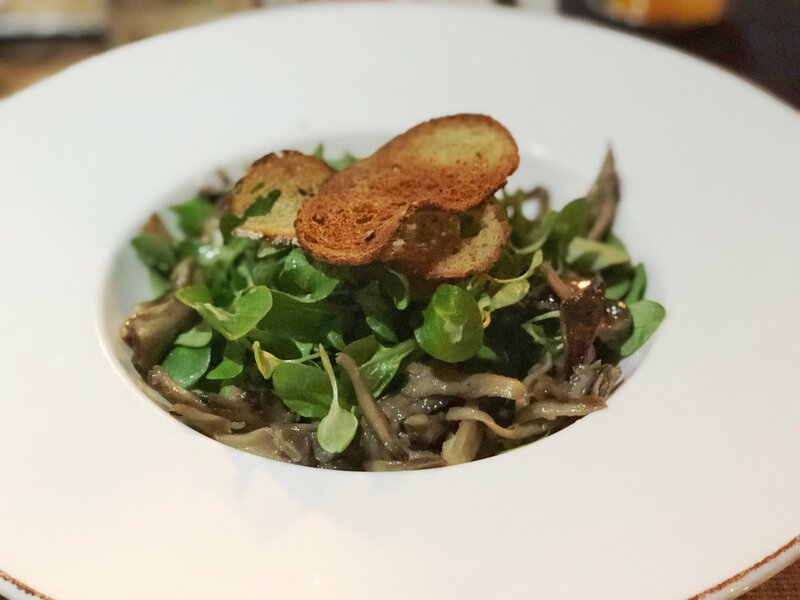 You can head to a city favorite like Compass, Peregrine, or La Colombe, or go to a one-off tea shop like Calabash in Shaw. If you don’t want to decide between your coffee brews and your cocktails, check out Tryst in Adams Morgan, which serves coffee, tea, AND cocktails behind their bar. Why choose if you can have both? While it’s not Las Vegas, the nightlife scene in DC can be super fun, if you know where to go. Some of the hotspots for night time activity include Adams Morgan and U Street, but there are bars all over the city, from Navy Yard to Columbia Heights. Some restaurants even turn into clubs at night – the one that always makes me laugh is the club on the third floor of a quaint Russian restaurant, Mari Vanna, in downtown DC. Because of the presence of so many embassies and international organizations, DC hosts incredibly diverse and delicious cuisine. You can find traditional foods ranging from Japanese to Swiss to Senegalese to Georgian, or you can sample fusion foods like Peruvian-Chinese. One of my favorite fusion restaurants is called Compass Rose, which offers tapas-style shared plates from all over the word, including more obscure places like Georgia and Central Asia. 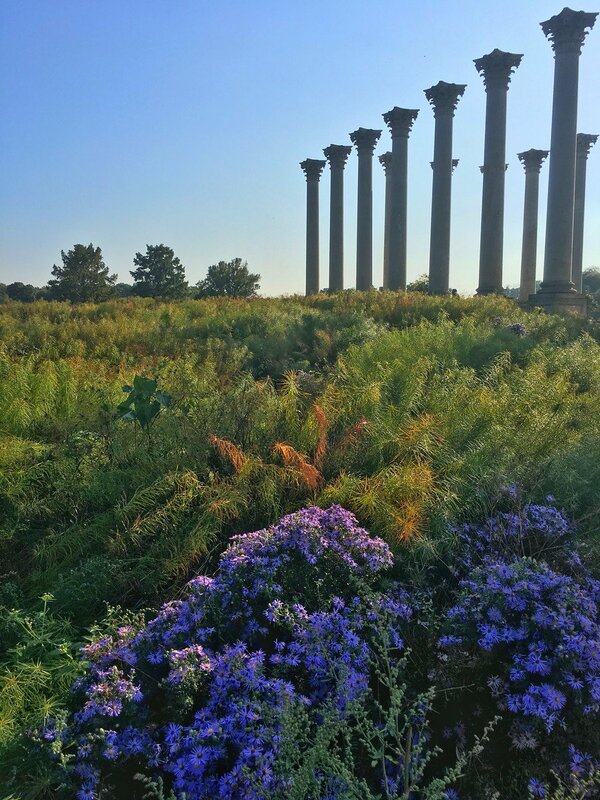 If you’re looking for a unique outdoor experience, head to the National Arboretum. This large park is a little bit removed from the bustle of downtown, and for good reason – it houses beautiful old columns form the capital, lovely wildflowers, and winding walking paths for you and your dog (or your imaginary dog…it’s cool, I have one too). If there’s one thing about DC that’s true all the time, it’s that it’s a dog city. Everyone and their mother seems to own a dog. Even if you don’t have a dog, you can head to a dog park and watch the dogs sprinting around, barking at each other, and having fun. It’s always a lift in spirits to be around pups, and even more when they’re running freely in the open air. Sometimes people forget that the Potomac River runs right through some of the city’s most spectacular sights, and that you can see a completely different perspective of the US capital from the water. If you love being outdoors, exploring unique activities, or are looking for a romantic thing to do in Washington DC, rent a kayak on the Potomac and explore the city from the water. It’ll give you a unique perspective that not many visitors get to see. In my opinion, this is one of the wackiest things to do in DC. On Sundays at 3 PM, there’s a large, ongoing drum circle at Meridian Hill Park. Anyone can join or watch the drum circle, and it’s fascinating to see people just drumming along with complete strangers, nodding their heads with grins on their faces. You might think it sounds like a bunch of drums beating out of rhythm, but it actually stays pretty in sync. This is definitely something to experience if you’re looking for a unique thing to do in DC. Rock Creek Park is one of DC’s outdoor gems. With 1,700+ acres of forested park area in the middle of Washington DC, it’s perfect for the outdoor enthusiast or people who enjoy exploring urban green spaces. There are trails here that go on for miles and miles, and it’s worth spending a whole day here if you enjoy fresh air and walking through nature to the chaos of the city. If you have a car (or access to one), you can’t miss Great Falls. Although it’s located a little bit out of the city on the Virginia-Maryland border, I’ve included it on this list because it is an absolutely spectacular sight. 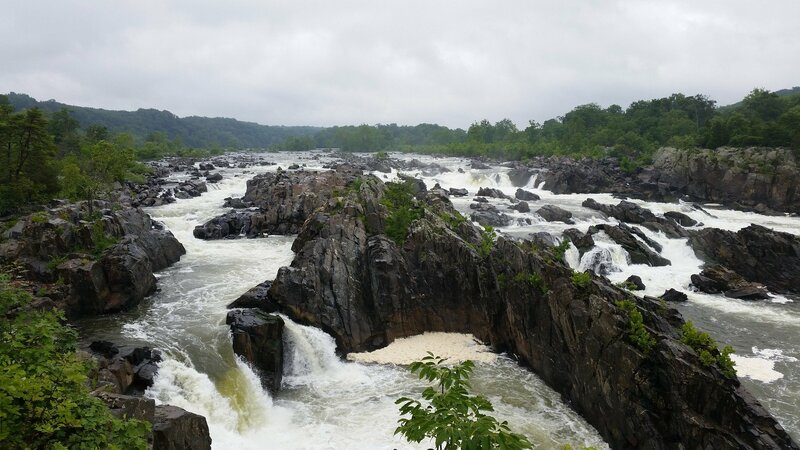 Here, the Potomac cascades and crashes over sharp rocks in a canyon-like area, causing a mesmerizing set of waterfalls. It’s truly like being in another world there. There are several miles of hiking trails here, ranging from flat, easy hikes to tricky rock scrambles. You can take your pick. There’s really no better way to get around Washington DC than by bike. Because it’s a fairly small city, it’s easy to get around from place to place on a bike. You can get to the main landmarks while still being able to see some interesting sights along the way. DC boasts a popular bike tour that takes you through some of the city’s iconic areas and through charming neighborhoods, too. If you’re on a budget, companies like Capital Bikeshare offer rental bikes by the hour for reasonable prices – you grab one and hit the road to explore this weird and wonderful city at your own pace. And if biking isn’t your thing, don’t worry! DC’s Segway Tour is said to be one of the best ways to experience the city on wheels in a small group. Where to Stay in Washington, DC – This is our ultimate neighborhood and hotel guide; your perfect resource for booking your trip. 17 Spectacular Day Trips from Washington, DC – If you get bored of the city (blasphemy! ), you can always check out one of the spectacular day trips nearby. 2 Days in Washington, DC: A Sample Itinerary – For those of you who only have a couple of days in the city, this guide is for you. Phew! That was a long one! Did we miss any of your favorite activities in DC? Share your thoughts and join the discussion in our Facebook group!